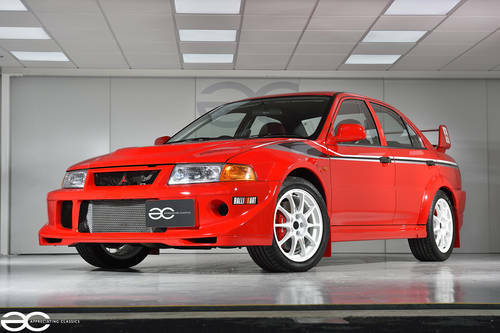 A stunning Red Tommi Makinen Edition Evo, with just 53k miles from new! Imported in 2015, by Ross Sport (Grade 4C). 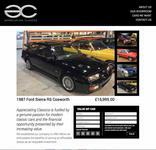 Imported in 2015 by Ross Sport, the car has documented servicing and invoices as detailed below. The car has had a speedo cluster replacement, which is fully documented (due to failed fuel gauge). Mileage documented when imported, and cluster changed shortly after by Ross Sport (with details within the paperwork file). Correct mileage works out to 53,609 miles. 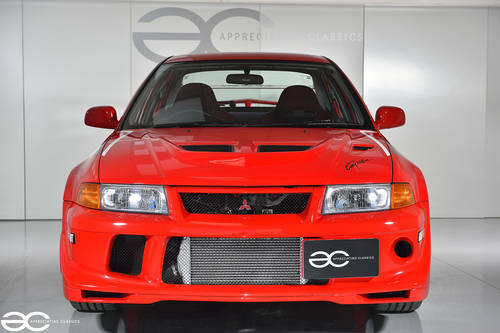 The car had a full service by APT (Automotive Performance Tuning) in July 2015, including cambelt, oils, filters and wheel alignment, at the same time the car was put on the dyno and was proved to be a healthy example with 282bhp. In April 2016 the car was serviced by MG Auto Motorsport LTD.
Also within the history file, are details of the Cat1 alarm/immobiliser which have been fitted, and various invoices totaling many thousands of pounds. In 2015 the car went to PW Pro (highly regarded detailing company) and had detailing work totalling a cost of £1,716.00, and the in 2016 the car went back to PW Pro for a full detail again and ceramic coating, at a cost of £1,920.00. 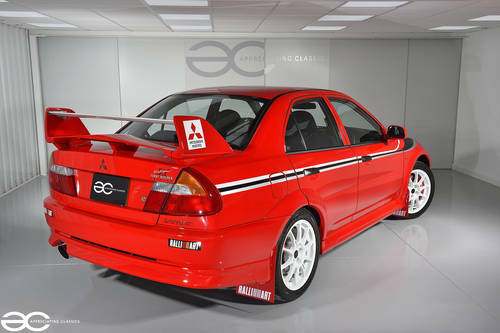 As you would expect, the original passion red paintwork still looks fantastic! We have measured the paintwork with a paint depth gauge and it appears that the car is still in its original paintwork (we cannot measure plastic panels – bumpers etc). Anybody who knows these cars will know that, like most Japanese cars of the era, the paint is quite thin and quite soft so are susceptible to marks/chips – this example in in great condition with only a very few small very small marks and this is being very fussy..
All badges are in very good condition, as are all the lights, most of them being new genuine items. The interior of these cars can quite often be the downfall, with many showing signs of age/wear throughout, but particularly the front seat bolsters, among other areas. We are pleased to report that this example presents very well. 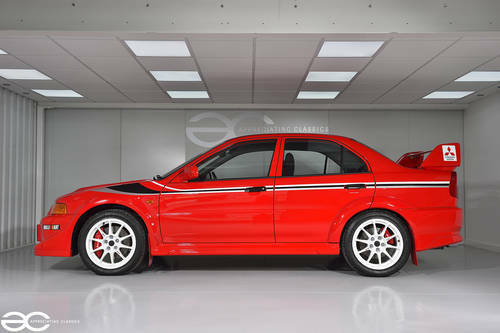 When the car was imported, it had various new genuine parts fitted to make it stand out as one of the best examples, such as all new door seals, a brand new correct steering wheel, gearknob plus various other parts. Both front seats are in great condition, with none of the usual ‘bobbling’ material on the bolsters, and likewise the rears are in good order. The only non original item is the stereo which is the stereo that was in the car when it came over from Japan. 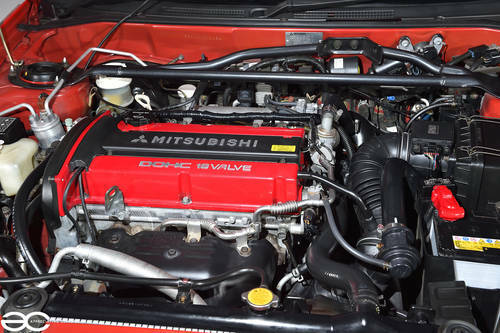 With only 53k miles, this engine feels very fresh and drives superb. This example is very healthy, with a dyno graph printout from APT (Automotive Performance Tuning) showing 282bhp. Anybody familiar with these cars will know that brackets, fixings, and bolts do show signs of age very quickly/easily, but as the pictures demonstrate this example is in good order.